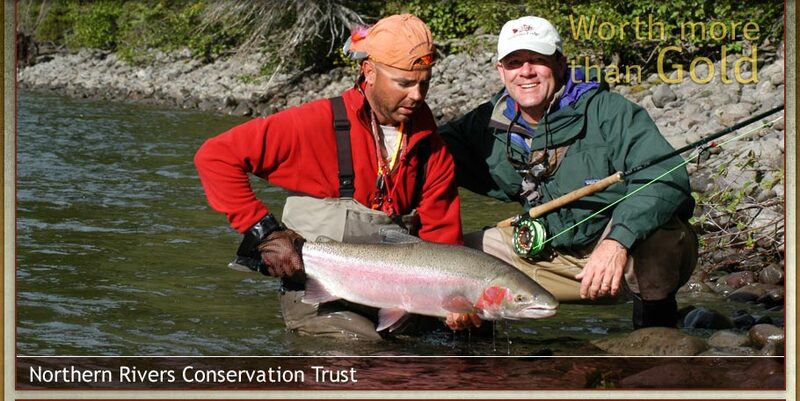 NRCT is an organization formed by Sweetwater Travel Company to help raise funds for salmon and steelhead conservation organizations here in British Columbia. From 2007-2010 we have raised close to $150,000 for wild salmon and steelhead causes here in British Columbia. The projects we funded ranged from designing and publishing a Google Gadget to make Tyee data readable, genetics work on the Babine to helping the Gitanyow First Nation with its legal work to protect failing Kitwanga sockeye stocks, Dean River steelhead smolt enumeration studies, helping support Alex Morton's battle to drive salmon farms out of British Columbia, billboard campaigns etc. Bottom line is that is that through generous donations and letter writing we have helped make a tremendous difference here on the Skeena I am also happy to say that our efforts were entirely volunteer based. Administration costs to our organization were $0.00. That means every dollar you give goes where you want it to go. We do not accept donations, but we will be glad to help with any wild salmon or steelhead related conservation issue. If you have questions about what we do or have an effort that needs help, don't hesitate to email. If we can we'll help.